Rumors That Svetlana Loboda Is Pregnant were Circulating the last two weeks in the media. The singer kept silent all this time, but yesterday she confirmed the information that she was preparing to become a mother for the second time. I'm going on a small vacation ... To write down a new album for you and prepare an absolutely new show, which we will show already in October. And also I'm leaving to prepare for the most important event in the life of every woman - the birth of a baby. For me, this is a great miracle. And I'm grateful to the sky for this gift, and you - for your love and your recognition! 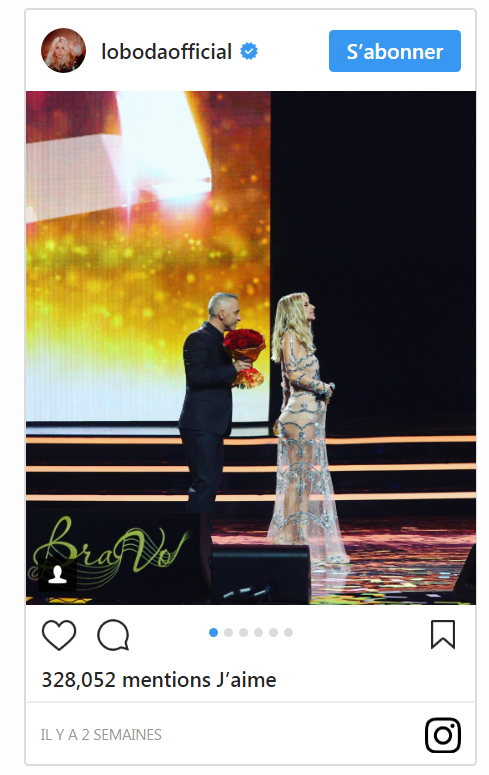 I'll be back already in June, again at the concerts, - wrote Loboda on her Instagram, having published photos, in which she is seen in a dress emphasizing her baby belly. Svetlana is already raising a seven-year-old daughter Evangelina, which she gave birth from the dancer Andrei Tsar, who once worked with the singer's ballet. Who is the father of the future child of Loboda? According to some information - the soloist of the Rammstein Till Lindemann, whom Svetlana met last year at the festival "Heat" in Baku.